It’s day nine in Vancouver and so far so good. Bright sunny days and surprisingly no sign of rain. I’m knocking on wood with one hand and typing with the other. If you’re not aware Vancouver is notoriously known for relentless drizzle, thanks to its Pacific northwest locality. Yet I’ve been assured by locals that the remarkable blue skies are here to stay. Well for the next few months anyway. What a positive attitude these Vancouverites have towards their city’s fickle weather. An attitude that believes the good days far outweigh the bad. Exceptional really, especially when you consider that the city receives four times the amount of rain than London. Walking around town I’ve certainly been able to see what draws people to Vancouver; a cosmopolitan hub, surrounded by water and snowcapped mountains. The city, particularly at this time of year is buzzing, people are smiling, and the weather is glorious. Long sunny days, warm breezes and the knowledge that the best of summer is still yet to come. Another thing I’ve noticed is how incredibly friendly the locals are. I’ve only been here a week and already I’ve experienced countless small acts of kindness. It may have just been someone asking if I needed help with directions or general friendliness at the check out counter, but it is a startling contrast to what I grew accustomed to in NYC, where more often than not I would be on the receiving end of a brush-off. Apart from a noticeable difference in behaviour, there’s also an substantial difference in size. 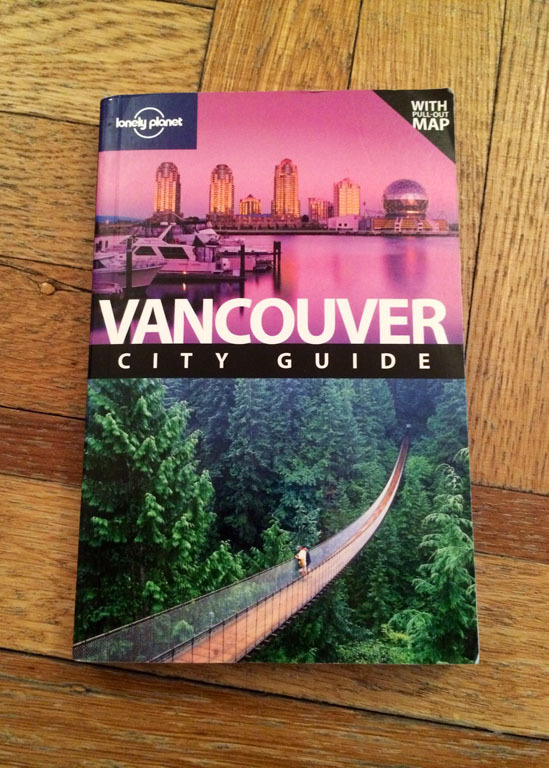 Comparatively speaking, Vancouver is a lot smaller than New York and London. Its ‘compactness’ will take some getting used to. Having said that, I’m already digging the city’s vibe and close proximity to almost everything! Seriously from Downtown most places seem to be within walking distance. I haven’t yet once needed to take public transport. It is still early days I know, but if Nick and I end up finding an apartment in the Downtown area I foresee a lot of walking in the future. Speaking of areas, I’ve already spotted a few neighbourhoods that I could see us living in. 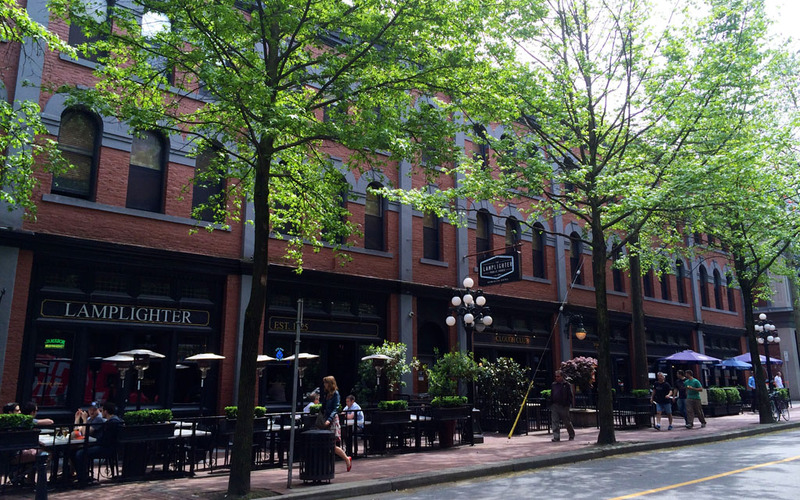 For instance Gastown, Vancouver’s historic heart, where the streets are lined with an array of converted handsome brick buildings, trendy boutiques, funky lofts, hip bars and NYC style BBQ joints. 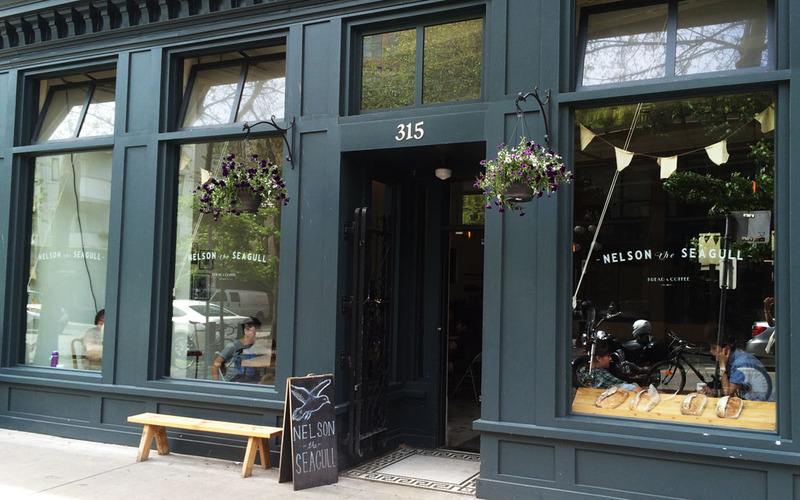 While Gastown may not fit out budget (renting prices have skyrocketed in recent years), I can easily see myself eating my way around this part of town. 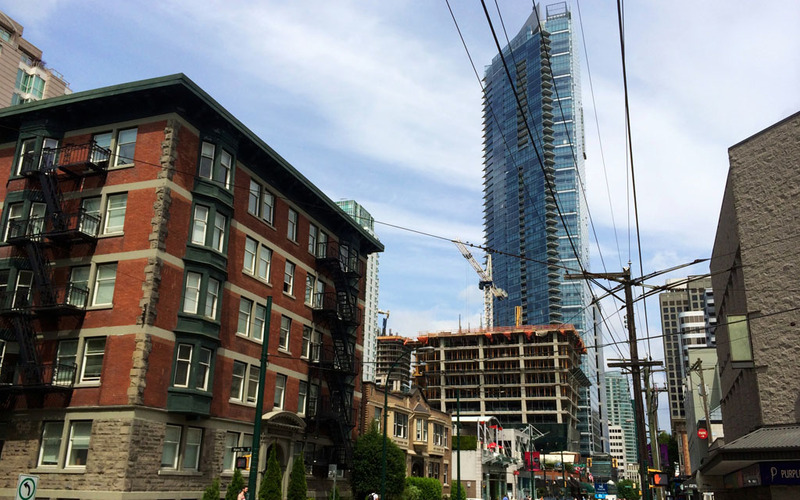 Downtown, which feels similar to other city centres, is an energetic metropolis bursting with soaring high-rises. There also seems to be an abundance of yoga studios, urban parks and organic markets. Then there’s leafy, green West End. A slice of suburbia situated only two blocks back from the bustling main thoroughfare of Robson Street. The apartment complexes a little older here, think 1970s pebblecrete, but what really makes this area desirable, is its village feel and proximity to Stanley Park. Time will tell on where we end up, but in the meantime Nick and I will keep exploring and settling into our life in our new home away from home. 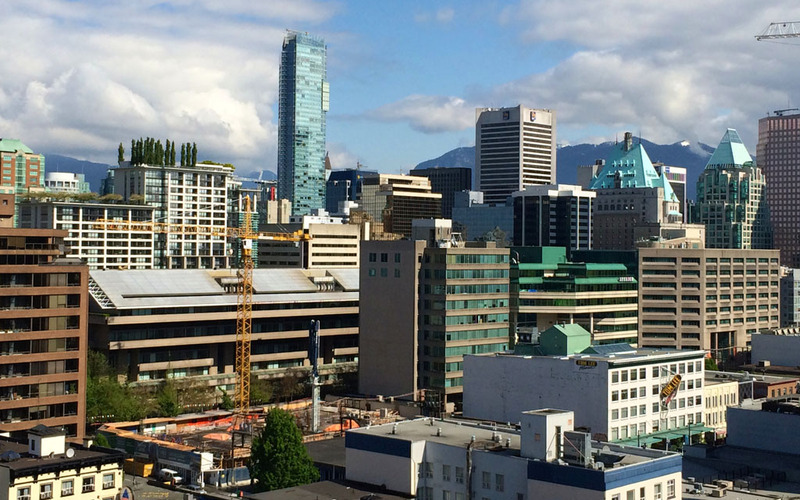 Business, commercial and cultural centre of Vancouver. 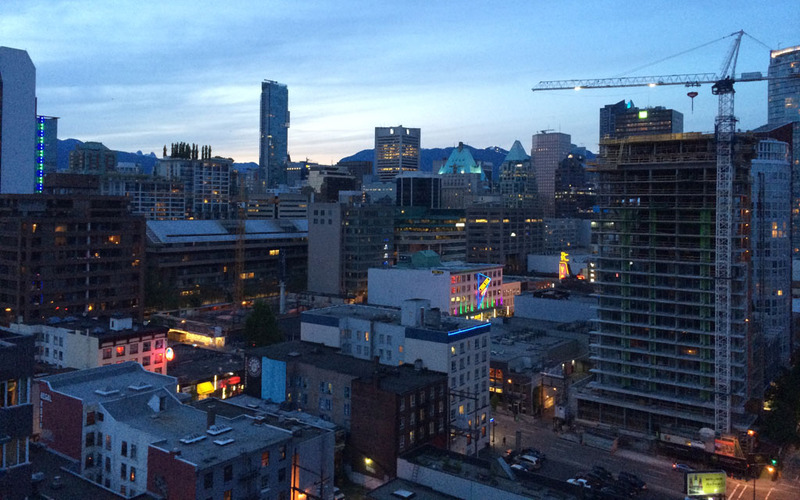 Historic quarter of Vancouver and home to some of the city's best bars and restaurants. 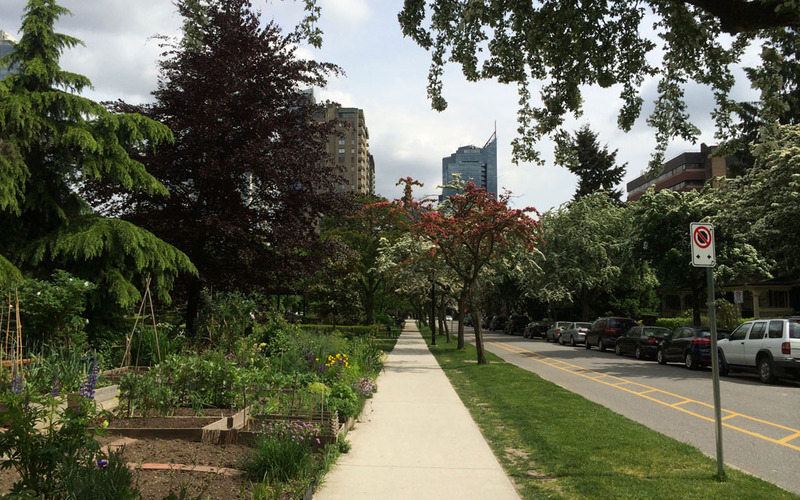 A lovely and incredibly leafy Vancouver neighbourhood. Goodbye New York. Hello Vancouver! Apologies folks for interrupting the flow of my Mexico posts but I wanted to share some exciting news. After an incredible 18 months in the Big Apple Nick and I are heading north to Vancouver! A move, which will hopefully see the start of another amazing chapter in our adventures. We fly out on Friday, and I am beyond excited. I’m a little nervous too. No more lady of leisure status for me. I’ll be heading back to the real world and looking for a full time job. I am truly going to miss New York: the friends I’ve made, beautiful Park Slope (the area Nick and I called home), our lovely apartment, sunny days in Prospect Park, Saturday morning’s at the Brooklyn Flea, Whitman’s burgers in the East Village, walks along the High Line, break dancers on the subway and so much more. While the list of things I’m going to miss in NYC seems endless, I have already started to compile a list of things to see and do, as well as eat and drink in Vancouver. I’ve heard lots of great things about Stanley Park, English Bay, Granville Island, the West End, and of course Vancouver’s gorgeous summer. I can’t wait to get out and about (when it’s not raining) and explore. So it is farewell to New York. What an absolute blast it’s been. I will forever be grateful to have been able to call you home. And hello to Vancouver and the adventures that await. Wishing you both all the best for your next adventure. Nick, you must be very good at what you do so congratulations on scoring that job. 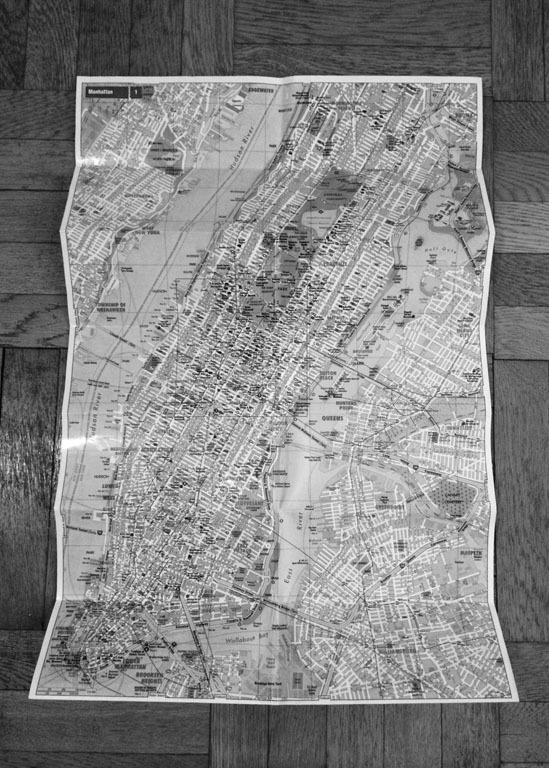 We are about to experience New York for the first time, arriving on the 22nd May. I'm about to go to your N.Y. blog. Have fun yuo young things. Love always Jacqui. Thank you for your lovely message Jacqui! Wishing you a fun and fabulous time in NYC. You're going to love it!